What is your drink of choice when it gets chilly (or downright arctic, like it has been)? I’m normally a coffee girl, or hot tea if it’s in the afternoon. 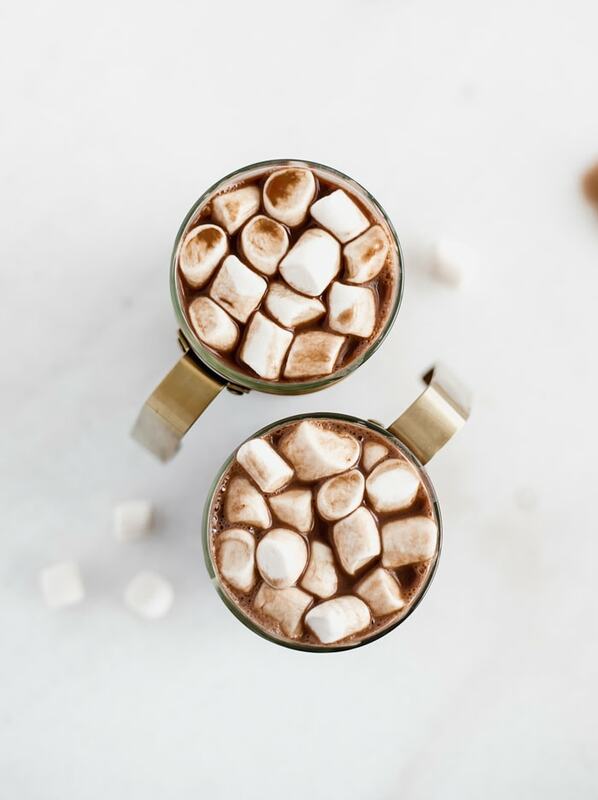 But some days, especially these ridiculously cold ones we’ve been seeing lately, call for a cup of sweet, creamy hot cocoa! 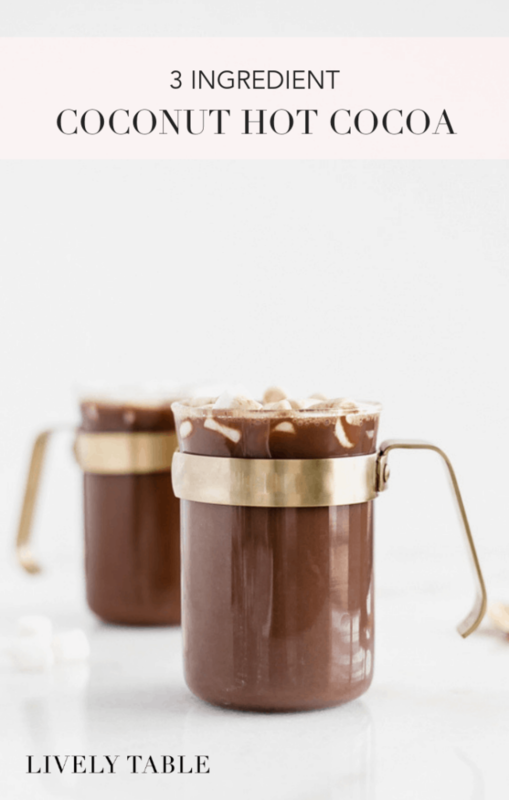 While I typically drink dairy milk in my coffee and use it to make hot cocoa, this coconut variation is downright dreamy. And it’s made with only 3 ingredients – coconut milk, unsweetened cocoa powder, and coconut sugar. What could be easier? 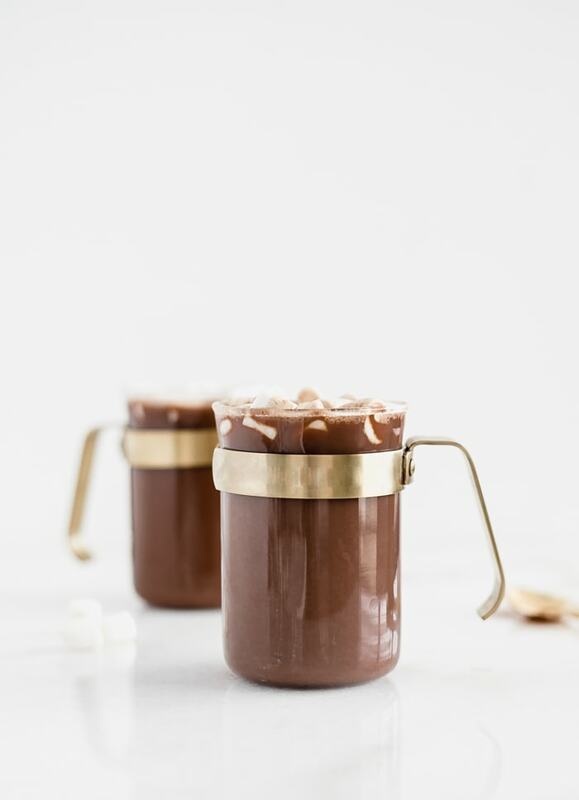 How do you make coconut hot cocoa? 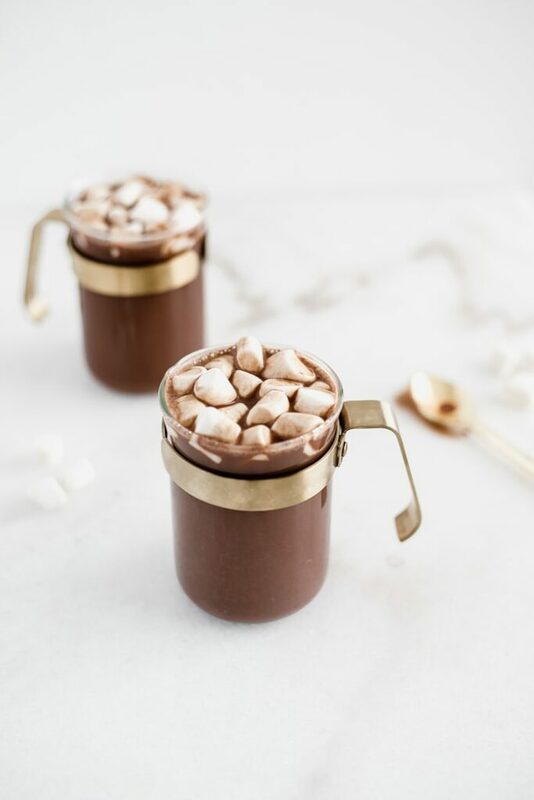 To make a rich, creamy cup of coconut hot cocoa, simply whisk together the coconut milk, cocoa, and coconut sugar in a small saucepan, then heat it until bubbly. Pour, top with whipped cream or marshmallows if you prefer (who doesn’t? ), and enjoy! Is coconut sugar healthier than regular sugar? In short, no. Coconut sugar is made from the sap of coconut palm. It does contain trace amounts of some minerals (iron, zinc, calcium, and potassium), and a little bit of fiber, which makes it a slightly lower on the glycemic index (it doesn’t raise your blood sugar quite as quickly as regular sugar). But at the end of the day, coconut sugar is still added sugar and should be used in moderation, just like regular table sugar and any other sweetener. 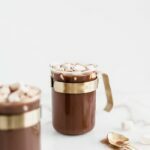 I personally love this coconut hot cocoa because it tastes amazing and is so easy to make, not because I think it is healthier than regular hot cocoa – by the way, both have antioxidants from the cocoa powder – yay! 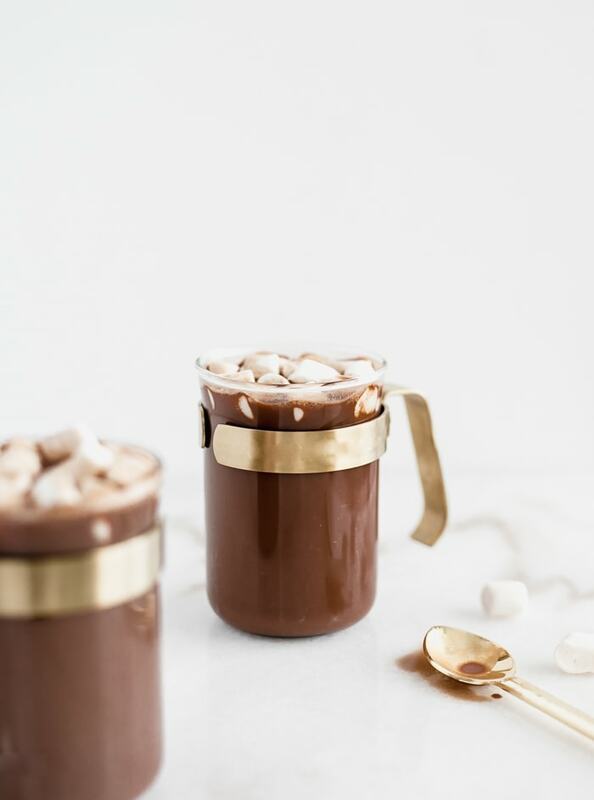 So when you’re craving something creamy, cozy, and chocolatey on the next blizzardy day, stir up a couple mugs of this delicious 3-ingredient coconut hot cocoa and snuggle up next to your favorite human or furry friend (no hot cocoa for them, though!) under a blanket and enjoy!